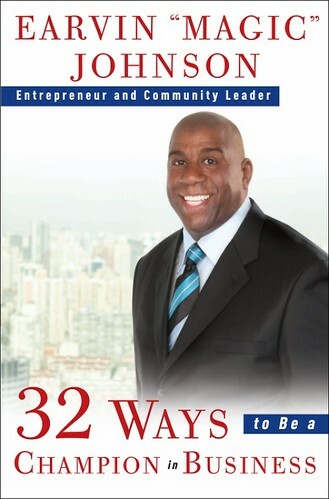 After NBA Legend Earvin “Magic” Johnson’s professional basketball career came to an end, Johnson transformed the skills he learned on the court into a successful career as a businessman. 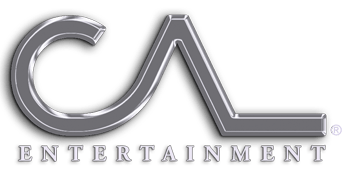 He is committed to bringing local growth and financial empowerment to urban and suburban neighborhoods in need through the development of entertainment complexes, restaurants and retail centers. Through strategic investments, partnerships and endorsements, Johnson has provided products and services that particularly focus on ethnically diverse urban communities. 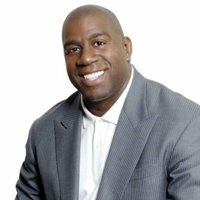 His partnerships with Starbucks, Burger King, 24 Hour Fitness, Best Buy, T.G.I.Fridays, and AMC Magic Johnson Theaters has helped to make his brand is #1 in Urban America. He is also currently Vice President and part owner of the Los Angeles Lakers. In addition to his varied business accomplishments, Mr. Johnson is now internationally recognized as the number one rated athlete for corporate keynote speaking, corporate endorsements, and appearances (TSE Sports & Entertainment Survey, April 2007) and one of the most highly rated celebrities able to influence consumer purchasing power (rated 6 out of 350 according to the 2006 Davie Brown Index). He currently has endorsement partnerships with Abbot Laboratories and TNT. As Chairman and Founder of his own Foundation, Mr. Johnson continues to focus on improving the quality of life for people residing in urban communities. The Foundation has distributed over 800 college scholarships to deserving minority students, many of which have been recipients of the Foundation’s Taylor Michaels Scholarship Program. To help bridge the digital divide in minority communities, Mr. Johnson currently has 20 Magic Johnson Empowerment Centers. The Foundation also has established four HIV/AIDS clinics and continues to raise awareness about HIV/AIDS through programs like the “I Stand With Magic” campaign to end the disease in the black community in particular. Mr. Johnson is universally known for his 13 year career in the NBA. His honors include: five national championships with the Los Angeles Lakers, 3 MVP awards, 12 NBA All-Star games, a gold medal at the 1992 Olympics in Barcelona, Spain and induction into the Naismith Memorial Basketball Hall of Fame. Mr. Johnson talks about his own life experiences and how hard work and a positive attitude have contributed to his success. Johnson will discuss what works and what doesn’t work when confronted with new situations and challenges in life and business.